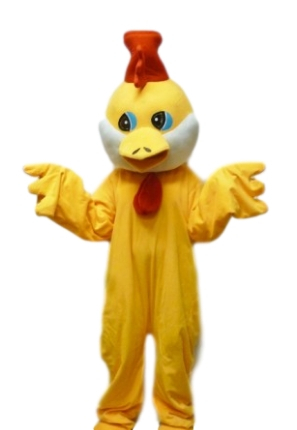 Giant Yellow Chicken mascot costume to hire. Perfect at Easter to hand out chocolate eggs to all your friends and family. Or maybe you have a chicken store that needs promoting. this chicken mascot costume will be lots of fun. Or find more Easter costume ideas here. Optional basket available for eggs.